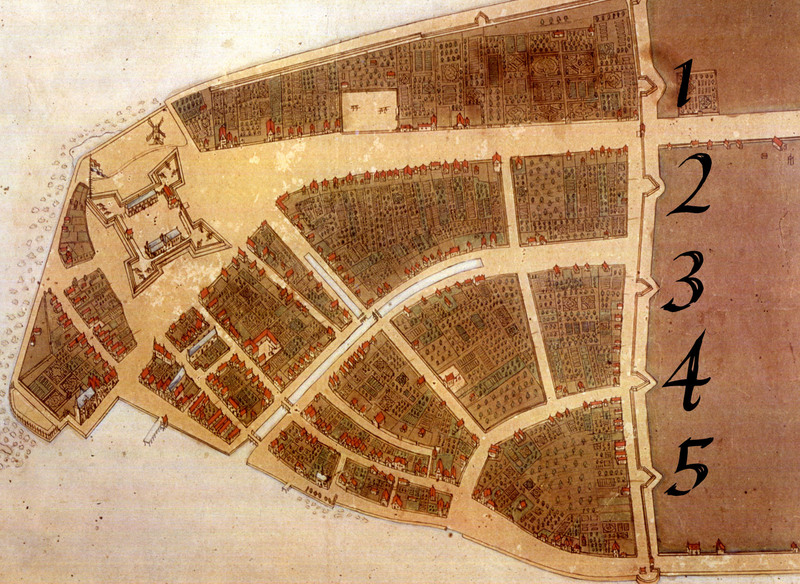 One of the earliest maps of New Amsterdam is displayed right below this paragraph. 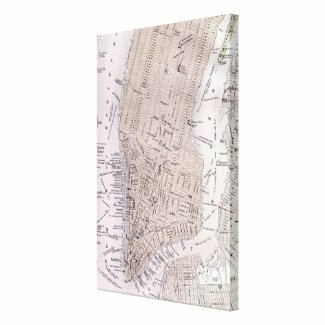 The map displays a very basic illustration of lower Manhattan and was originally produced in 1664. 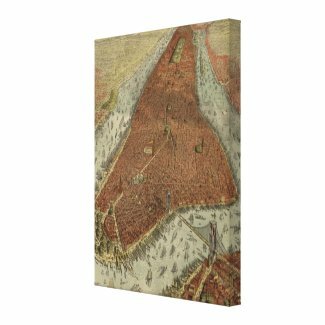 The map was produced for James the Duke of York in order to lay down the first plans for the construction of a new Colony. 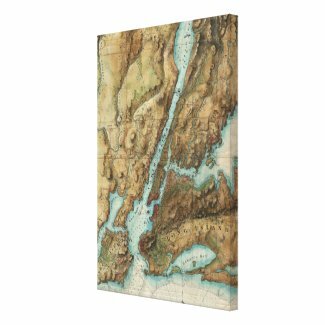 Below the map we will examine and explore various cartographic attributes that make this map absolutely stunning. If you have any questions or comments please feel free to leave them below! 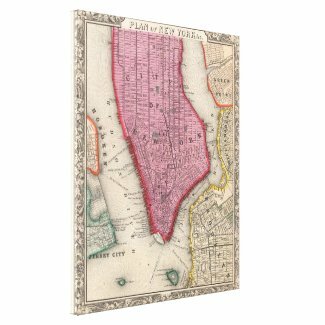 Quite an interesting early map of New Amsterdam we have displayed above! 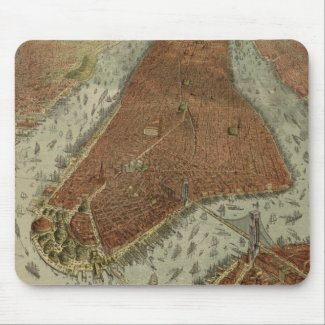 There is no doubt in my mind that this map was originally produced in 1664 as you can see a developmental and early illustration of lower Manhattan. 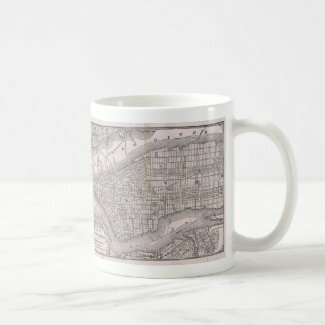 The other aspects that overwhelmingly confirm the publication date is the spelling as well as the labellings throughout this map. 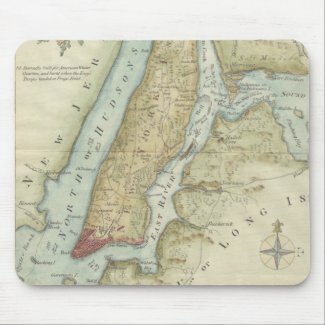 Longe Isleland is obviously spelled quite different then it is today and to the left of the map you can clearly see the labeling “The Dukes Plan” “A Description of the Towne of Mannados-(Manhattan) or New Amsterdam”. 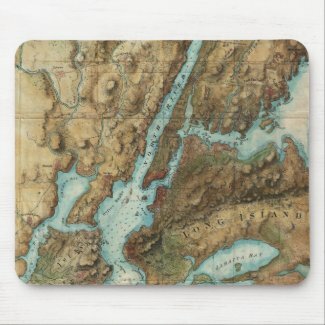 Also if we look at the river on the opposite side of long island we see “Hudfrons River”, an old spelling of the Hudson River no doubt. 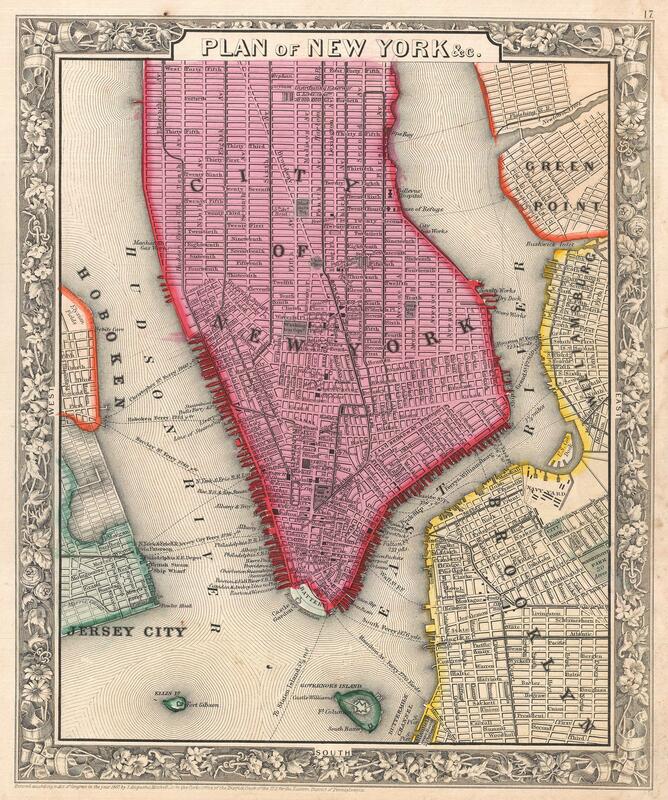 This map presents many clues to us about what New York City was like back in 1664. 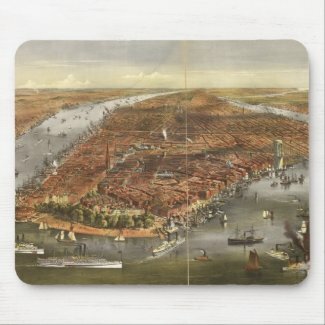 For example look at the plentiful amount of ships over in the East River. 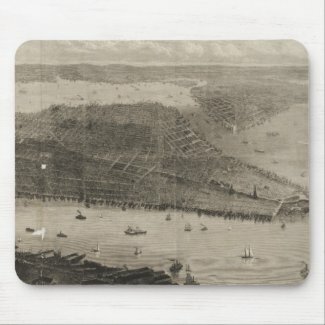 What this tells me is that many ships back in the mid 1600’s were landing and porting their ships along this area and were provided with easier access to the Atlantic ocean from side of New Amsterdam. 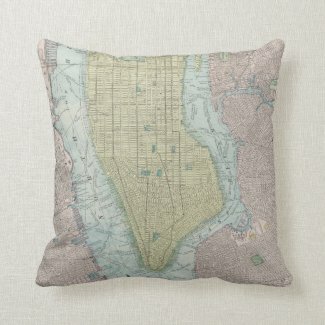 Its even true today that more ships are in port along the East River, look at where the U.S. 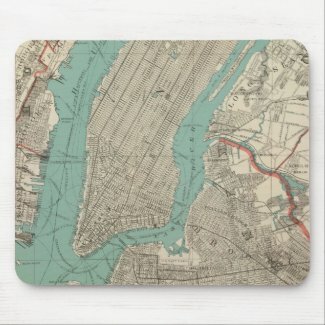 Naval Shipyard is… located on the East River for easy access to the Atlantic. 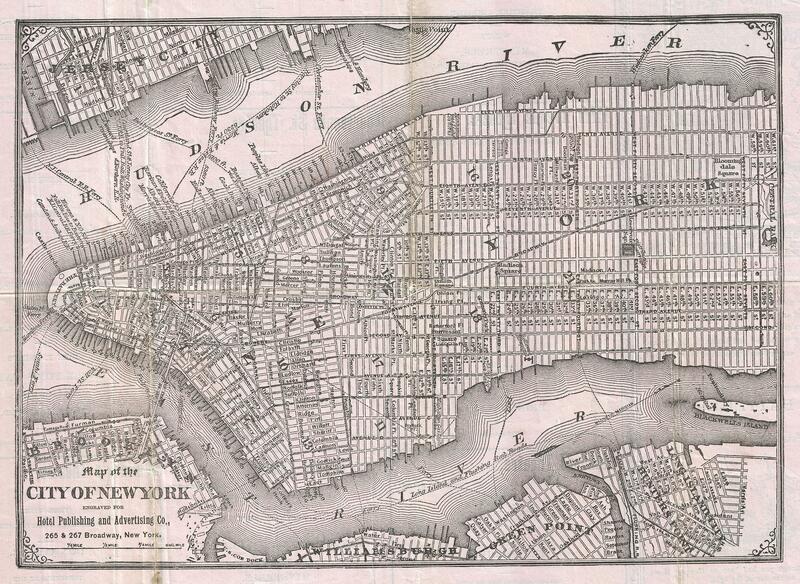 Notice the 5 points in the image above, well there are also 5 points in the same location on the map above this one. 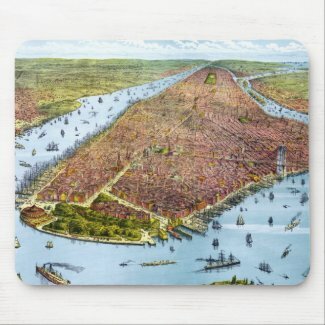 So without a doubt I can tell you that they fortified this section of New Amsterdam. 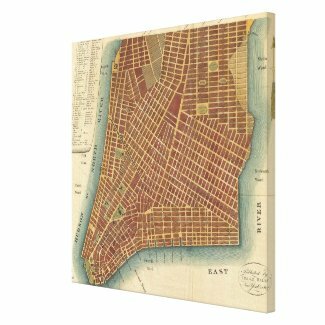 Another aspect that stands out to me that are on both of these maps is the fortification located at the southern tip of lower Manhattan. 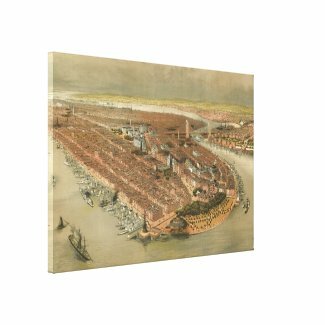 This fort has been called so many different names throughout time. 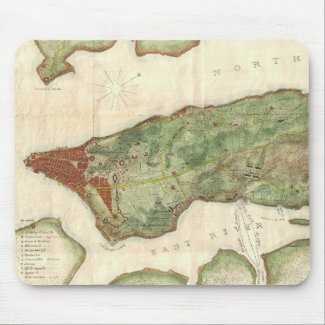 It has been called Fort Amsterdam, Fort George, Fort William Henry and much more. 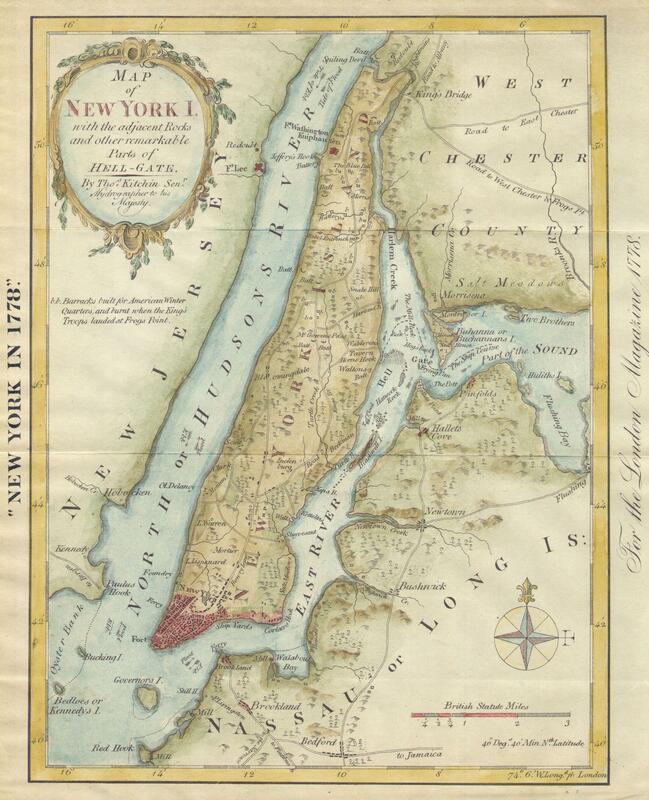 But as you can see on both maps It gave the dutch a strategic advantage to defending lower Manhattan. 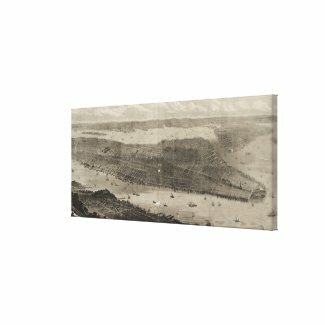 Not only did it provide an advantage with line of site scouting for invaders coming from the Atlantic or the Hudson, but it also contributed and gave the Dutch a strategic vantage point for their cannons to fire upon incoming ships as well a fall back location for the island as a whole. 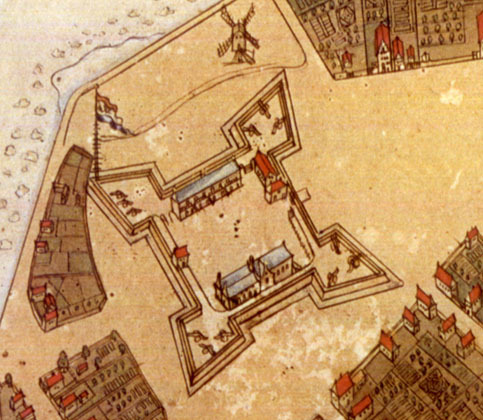 The 1st map displayed does not display the cannons in the 4 quadrants of the fort. 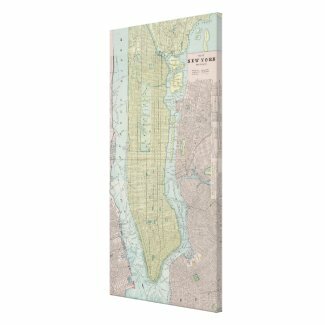 The 2nd map displayed though overwhelmingly does. 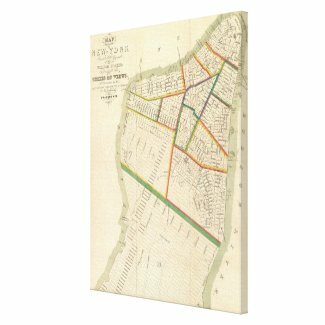 These are just a few of the various historical aspects that we’ve explored and uncovered on these old vintage maps of New Amsterdam. Please feel free to subscribe to our blog on the right hand side! 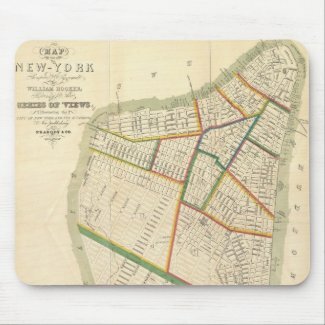 We will be continuing this exploration of History of New York City and we blog constantly. If you have any questions or comments about this post please feel free to comment below! 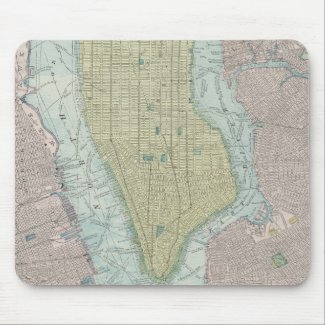 Introducing …… New York City map mousepads that are currently available on our online store. 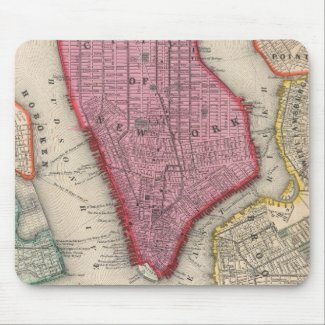 Perfect for the professional office or the casual user, these mousepads are dust and stain resistant and are sized 9.25″ x 7.75″. 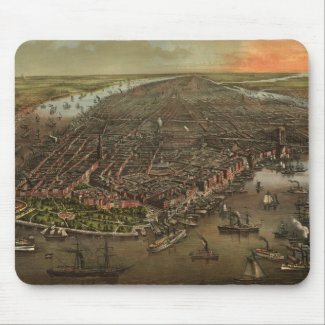 The mousepads also include a no slip bottom and are printed with full color quality. 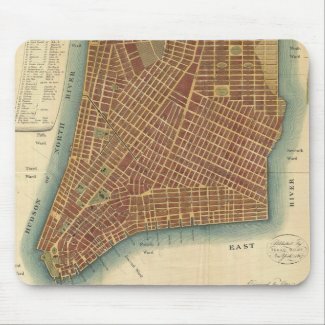 The New York City maps designed on these mousepads range in style and publication date. 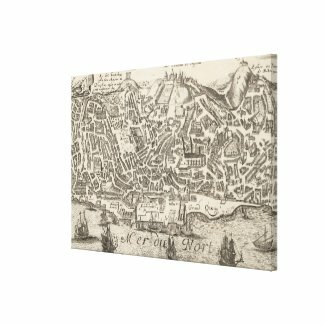 Some of the maps are displayed with a birdseye perspective while others are an overhead 2d perspective. 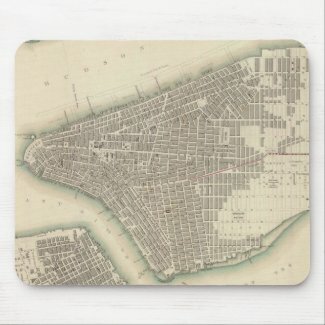 The maps featured on these mousepads range from being originally produced as early as the 1600’s all the way to the early 1900’s. 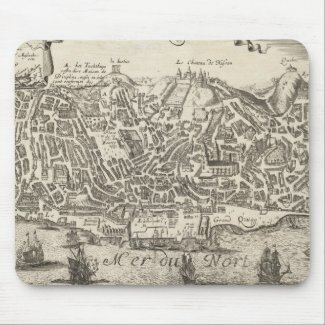 Take a few minutes and browse the collection below, if you want to take a closer look at a specific mousepad feel free to click on the images and or links. If you have any questions please don’t hesitate to leave a comment below. 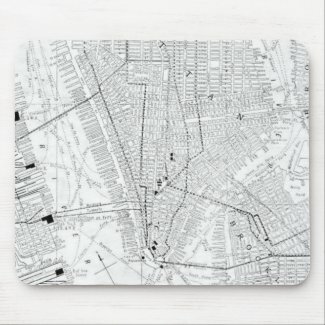 Make your own mousepad online. 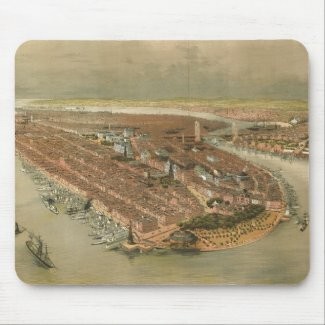 Make any mousepad custom from Zazzle. 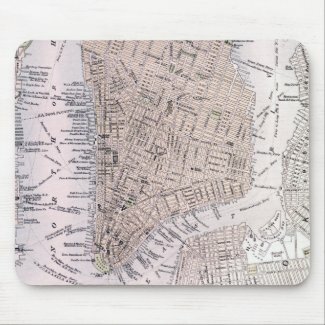 Customize mouse pads at zazzle.com. 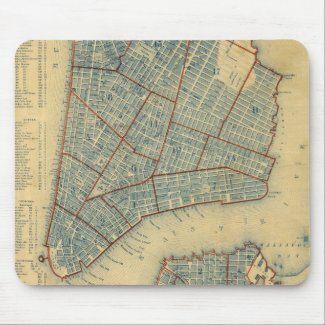 Just wanted to share with you our latest YouTube upload displaying a vintage map of the New York City Metropolitan area that was produced in 1912. 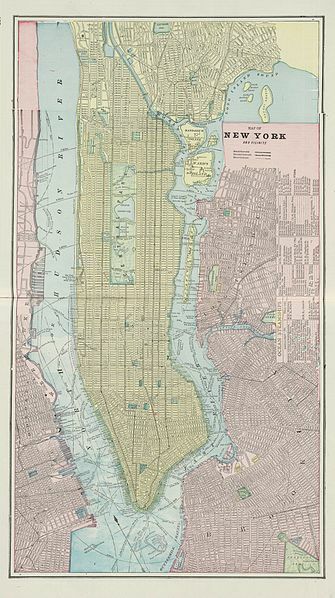 In the video we zoom in, pan, and fade various illustrative points of interest in the New York City area that are contained in this historical cartograph. 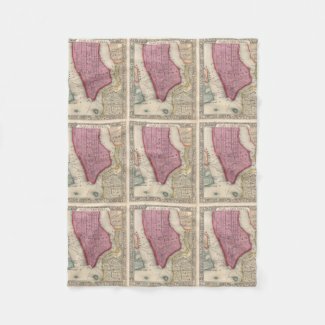 The video also features classical folk music that creates a cinematic feel in regards to the examination of this vintage map. The video is about 2 1/2 minutes long and is well worth a watch. Tell us what you think by leaving a comment below! Hey everyone! 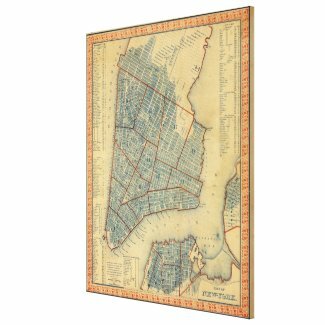 Just wanted to share another recently uploaded YouTube video displaying a few of our New York City vintage maps that we’ve collected over here at Bravura Media Company. 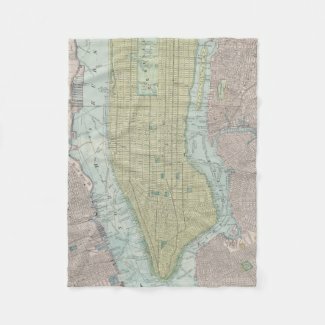 In the video we explore and examine various historical aspects of the maps as well as draw comparisons that illustrate why each map effective at giving audiences methods of navigating New York City. 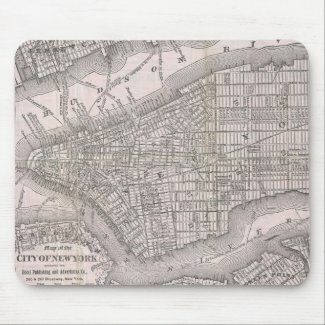 Tell us what you guys think, also if there is a New York City map you are looking for please ask to see an analysis of it either through our blog post or through our YouTube Channel. 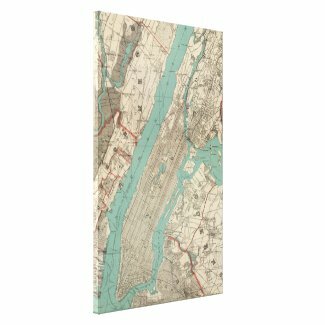 Check out our perfectly designed vintage New York City map wrapped canvas prints available for purchase from our online store. 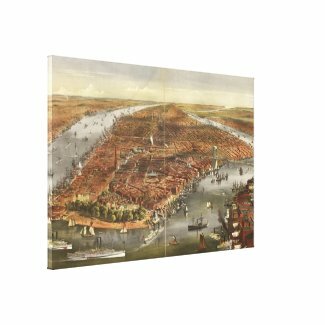 We have many maps in our collection that display either a 3d birds-eye perspective of NYC or an overhead 2d perspective as well. 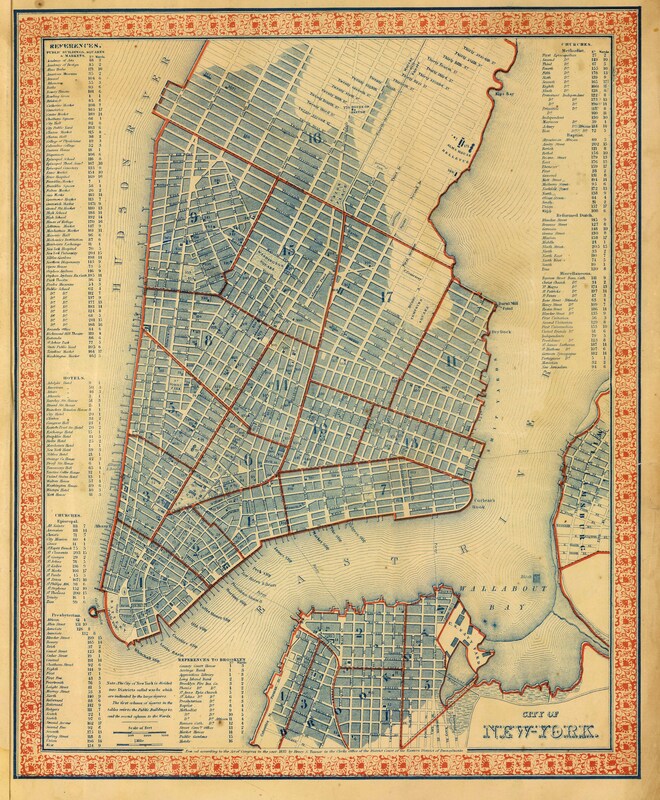 The maps range in publication date from the 1600’s all the way to the early 1900’s. 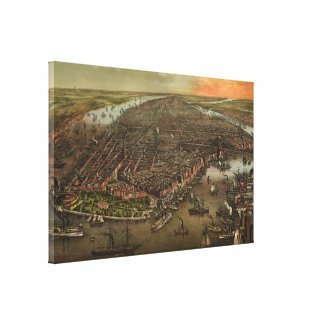 Check out these wonderful canvas prints that are perfect for the Office, Home, Reading Study or anywhere you wish to add some New York City Decor. 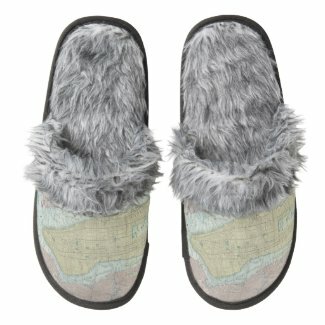 Check out our newly designed NYC map slippers from our online store. Currently as of today 1/18/2015 they are out of stock because of the slippers immense popularity. But soon they will be restocked and available for purchase. 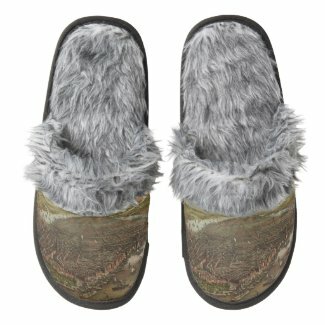 Check back with us often and leave a comment if you want to put one of these slippers on hold. 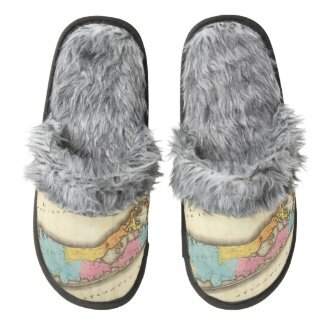 The maps that are printed on these slipper range in publication date from the 1600’s all the way to the 1900’s. 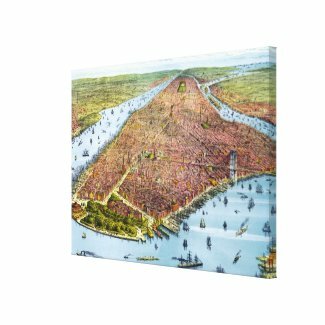 They also range in terms of visual style as some display a birds-eye perspective and others are a top 2d view of the island of Manhattan. Click the images and links to take a closer look at these beautiful fuzzy slippers that make perfect gifts for the New York City historical enthusiast! 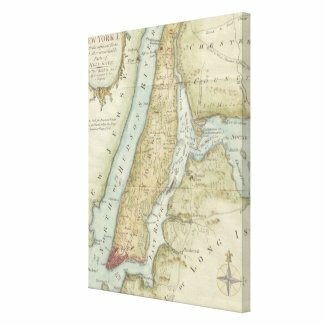 Hey everyone, just wanted to share with you some of the vintage maps of New York City we have in our collection. 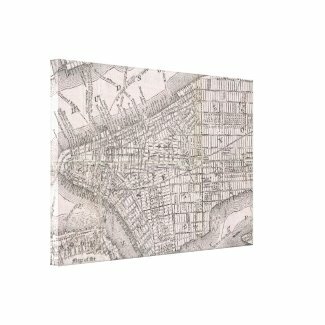 We have these maps available on products available as well. 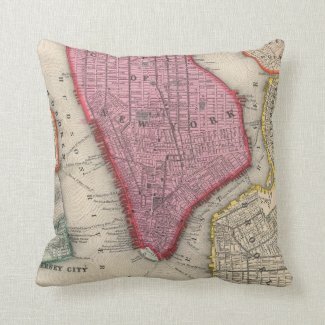 For instance we have these maps printed on fleece blankets, pillows, clocks, ornaments, mugs etc. 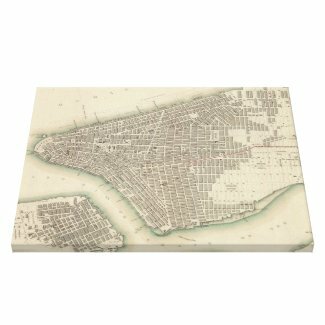 Take quick look at these maps and the products we have available for purchase and tell us what you guys think! 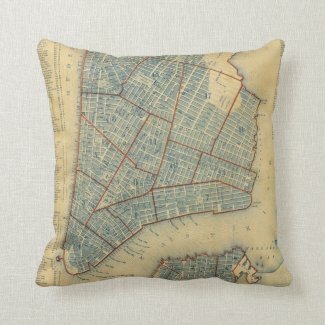 Here are a couple of NYC historical map products available from our online store. Click on the images and the links to take a closer look at these. 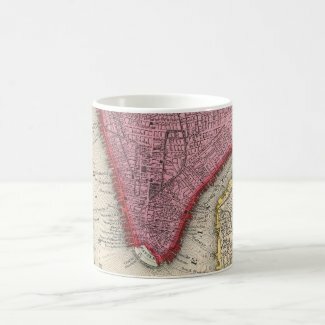 If you have any questions about the products we have or the maps we have, please leave a comment. Thanks!